With plenty of flavors, this tasty side dish is perfect for serving the chicken tikka masala, spicy lamb or other classic Indian dishes. Here is a simple way to make pilau but to get it right you have to get the right ingredients and the most important one being the pilau masala. ➲1 Large Onion (Finely Chopped). ➲2-3 Garlic cloves (Crushed and chopped). ➲Small piece Root Ginger (Chopped). 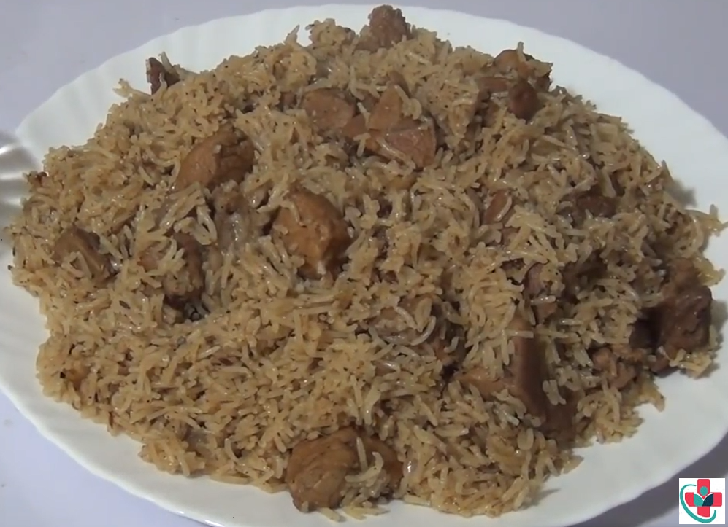 ➲3 Tbs Pilau Masala (or according to taste). Depending on which pilau masala brand you use, you may need to adjust the amount on my recipe. ➲¹/₂ Kg Boneless Beef (tender and cut in small pieces). ➲4 Tomatoes (diced very small) Blended gives better results. ➲Tomato paste (optional) Do not use together with tomatoes (it's not necessary). ⏩Cook the onion and ginger on a medium heat with a suitable pan/pot and allow to brown. The browning is the trick to a nice pilau. ⏩Add the meat and cook till its almost ready while pan/pot is covered. It should take about 3 min if the meat is tender and if not keep cooking until the meat is softened. ⏩Add the pilau masala powder, salt, and stir. If the meat has dried out, add a little water to prevent the meat from sticking. ⏩Allow cooking then add the finely diced tomato. (If you can blend the tomatoes it would give you better results). ⏩When using diced tomatoes add a little water to ensure the tomato is cooked and you have a thick sauce before you add the rice. ⏩Add the rice and stir and ensure it's all mixed up. ⏩Add the water. Cover and bring to boil. Reduce the heat and allow to simmer and slowly cook while covered. ⏩After about 5 minutes of cooking, give the rice a stir and cover. Repeat this while the rice is still wet and it's just to ensure all the rice cooks evenly and doesn't stick on the bottom. ⏩Rice is cooked after about 13 minutes depending on the rice type and if it has dried up before its cooked, add a little water to steam it till cooked but not mashy! ⏩Now try preparing your own and if you get this right you should be able to enjoy your pilau and since it is a dry dish by itself, complement it with a salad on the side.